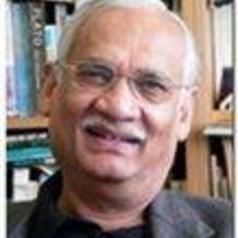 During my academic career spanning over 40 years I have conducted research in a number of areas which have included, urban sociology, sociology of housing, suicide, euthanasia, sociology of development, organisational culture and sociology of Muslim societies. I have published extensively in these areas. I have recently completed a ten year comparative study of Muslim religiosity. Some of the findings of this study have been published in national and international journals as well in my book, Faithlines: Muslim Conceptions of Islam and Society (Oxford 2003). The second volume containing the study’s findings will appear in my forthcoming book, Inside Muslim Minds: Understanding Islamic Consciousness (Melbourne University Press). In 2005 I was awarded an Australian Research Council Professorial Fellowship to research on suicide terrorism. Most of my time is focussed on this research which seeks to investigate "causes" of the global rise of suicide terrorism using primary and secondary data. The secondary data involves a census of all suicide attacks between 1980 and 2005. The primary data were to be collected through interviews with the leaders and members of terrorist organisations using suicide attacks as a weapon. As the new Australian anti terror laws have made contact with terrorist organisations illegal, I am exploring alternative means to collect information about the ideology and motivations of terrorist organisations using suicide missions as a strategy. My other recent publications have included: Co-editorship with Ian McAllister and S. Dowrick of The Cambridge Handbook of Social Sciences in Australia (Cambridge University Press 2003) and edited volume, Local and Global: Social Transformation in Southeast Asia (Brill 2005).